Then count me in! Thanks for putting this together!! Sounds like a blast! I’m all about it. Our good buddy Outlaw Dave comes through again! I'll be doing live spots with him every week up until the event, and he and the crew will be doing his radio show on site during the event. Sweet! Last edited by Nikofab; 09-04-2018 at 10:31 PM. I will be there this time representing Cycle Shack again. I will have Gift Cards to donate to the raffle for free oil changes or free labor for installation of a set of tires. See you all there!!! That's awesome thank you Bill! I'll update the digital flyer asap! Happy to help as always. I'm still working on a couple of ideas for more items to donate for the raffle. Look forward to seeing everyone again. 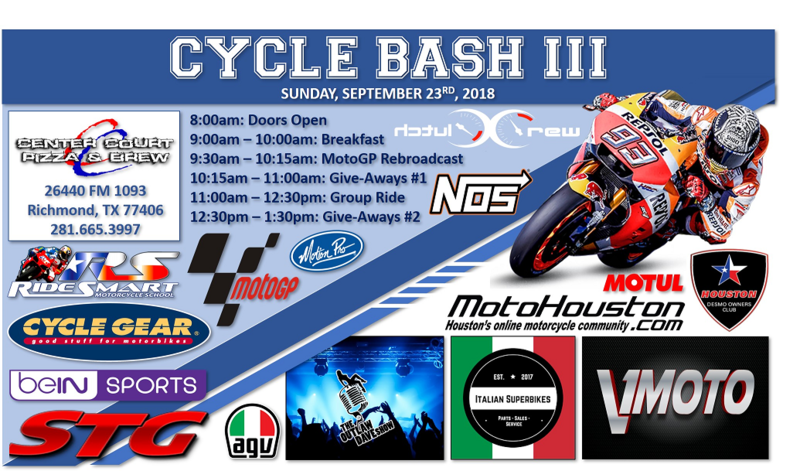 Nikofab, thank you for updating the flyer to include our logo! 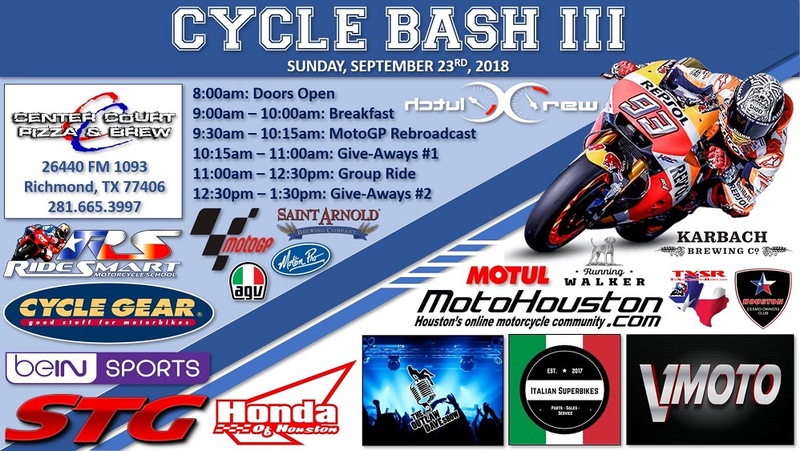 Now I just have to hope Traxxion Dynamics can get my forks on the old race bike serviced and back to me in time for this event. I can't service the AK-Gas fork internals here at the shop. But I will be there in a cage if needed. 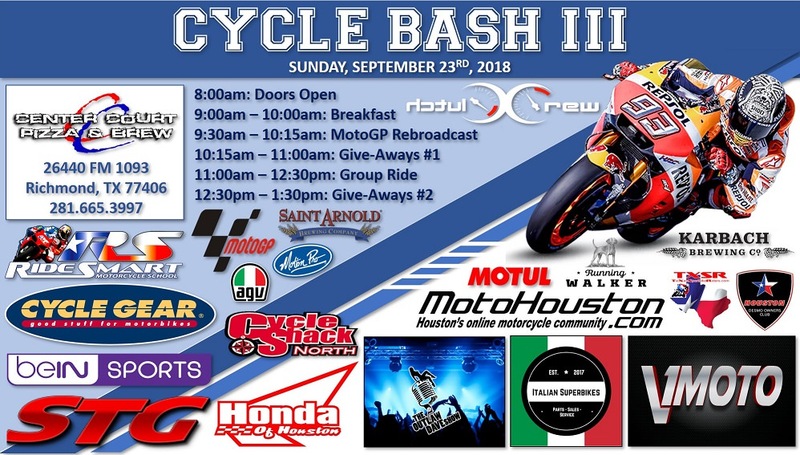 This would be my first Cycle Bash since moving back to Houston. So do we want to meet in the Southeast to take the easy ride up there?